Need a Church, but just don't have time to go to church because of reason's beyond your reach? 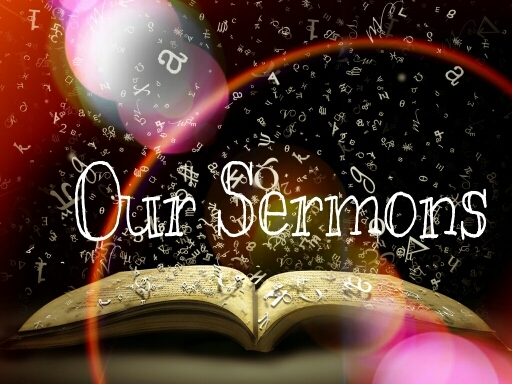 Here there are many sermon's wrote by Keith and Ashley, which will bless you. Who are Keith and Ashley? Keith wrote his testimony "Old Life-New Life" into a book. Be greatly blessed when you read it and also, they be greatly blessed by the buy. Press Book's on top of the website header to learn more. The Book will tell you straight of who they are. ( Isaiah 40: 30,31 NIV) - Even youths grow tired and weary, and young men stumble and fall; But those who hope in the Lord will renew their strength. They will soar on wings like eagles; they will run and not grow weary, they will wake and not be faint. Not that I have now attained [this ideal], or have already been made perfect, but I press on to lay hold of (grasp) and make my own, that for which Christ Jesus (the Messiah) has laid hold of me and made me His own. (Philippians 3:12 AMP). Colossians 3:18-21, " Wives, submit yourselves to your husbands, as is fitting in the Lord. Husbands, love your wives and do not be harsh with them. Children, obey your parents in everything, for this pleases the Lord. Fathers, do not embitter your children, or they will become discouraged." *Can you imagine becoming a newly formed vessel in God's hands? *A sacred and useful vessel? *Have parts of you been marred for so long that you can't imagine how he could ever reshape you? *Dose the process seem to lengthy? *Dose it require to much cooperation? *Do you sometime think, It's no use? *He will be the source of your happiness. "Delight yourself also in the Lord, and He will give you the desires and secret petitions of your heart." (Psalm 37:4 AMP). "Trust in the Lord with all your heart and lean not on your own understanding; in all your ways acknowledge him, and he will make your paths straight." ( Proverbs 3:5,6 NIV). The Last Day’s of the world (Study of James- Part 20) In the bible we see many things that will take place in the last days. Before Jesus come’s back to the world to take his people with him and sends everyone else to hell, there many things that will take place. Many of those things have happened, people believe. Here we will see something the book of James says, that will happen, and is happening right now, in our day of age. The bible and the word is s powerful. Why do we say we will do this or that tomorrow or next week or next year well go camping. Me and you both don’t know what will happen tomorrow, we could die tonight, or tomorrow or next week, or next year or 2 years form now. We don’t know are own future. Last week I wrote a sermon that had a false teaching in it and didn’t line up with bible. I am sorry. I am still a young man of God and still learning step by step. When I wrote that we should take Good and bad desire’s out of our lives, I mint only bad desire’s. I don’t know why I said Good. God gives us Desire’s to fulfill what he has us or wants us to fulfill. Please pray for me, I’m about to enter another trail. Did you know, there are 2 types of Wisdom? A good wisdom and a evil wisdom. Each can do great things. can i start of and tell you that we need the good wisdom, that is alone found in our Lord Jesus Christ, all else wisdom apart of of Lord, is from the evilness within us that the devil comes and put’s in us. Yet me teach you really fast about each one.